If you are looking for some help to design your own portfolio website, then you could look at using a website template that has been created for the task. Many people release website templates in Photoshop PSD format which are completely free to download and use to help you design your website. You could take one of these templates and code it into HTML and CSS or you could use it as the starting point for customizing to fit your needs. There are a lot of talented designers who like creating free items such as these and we have gathered together all the best examples for you in this post. Take a look below at some amazing designs, you could use these for a graphic design, web design, illustrator, artist or even a business website. You can also download these to learn how other designers go about structuring and designing websites in Photoshop. 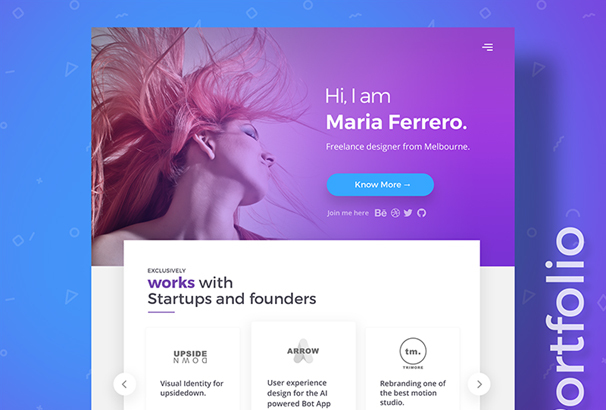 This is a beautiful free web template is perfectly made for landing pages or portfolio websites. 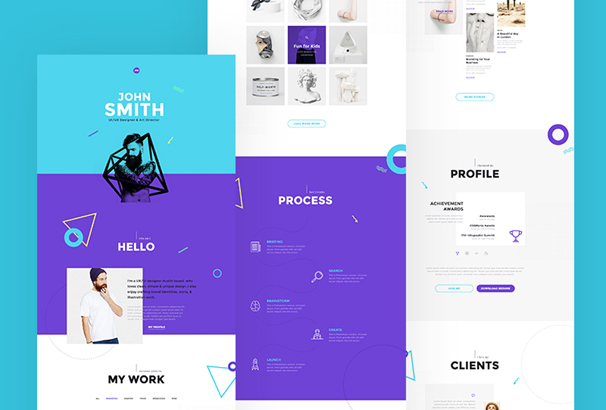 This single page template is made to use in Photoshop, Vijay Verma created this beautiful landing page template and you can easily edit for your requirements. This is basically a personal CV template. 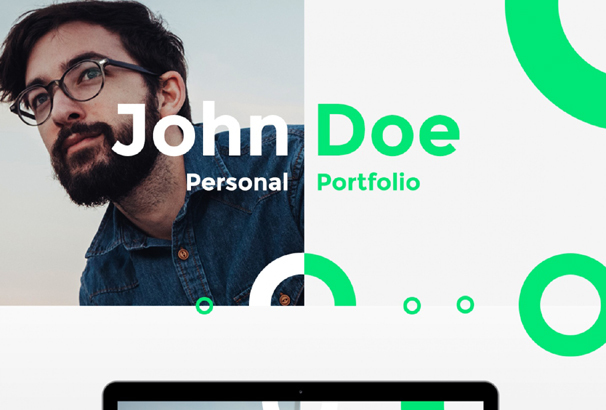 This one-page portfolio web template is made in Photoshop. You can easily edit the PSD file and customize this template as you need. 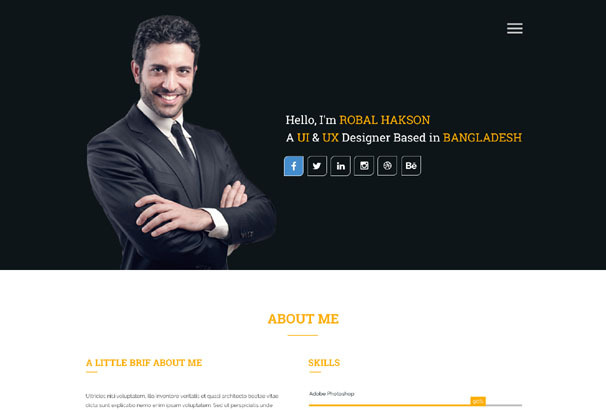 This freebie resume template was created by Muslim Mahin. 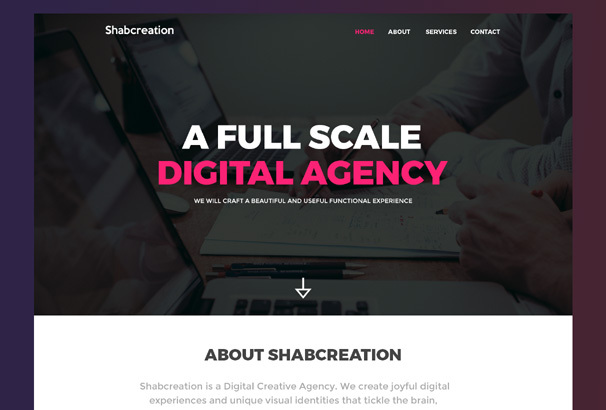 This exclusive portfolio web template created and released by Shabbir Manpurwala. 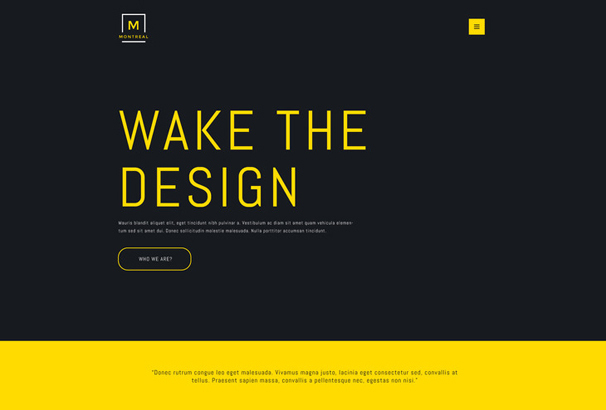 The color combination of this web template is outstanding and the freebie made with Photoshop. You can edit this template very easy and free to use for any personal or commercial purpose. By using this free portfolio web template you can present your artworks, or graphic in a marvelous way. This template was made by fully customizable shapes and well-grouped layers and there are no restrictions to use this template for personal or commercial uses. 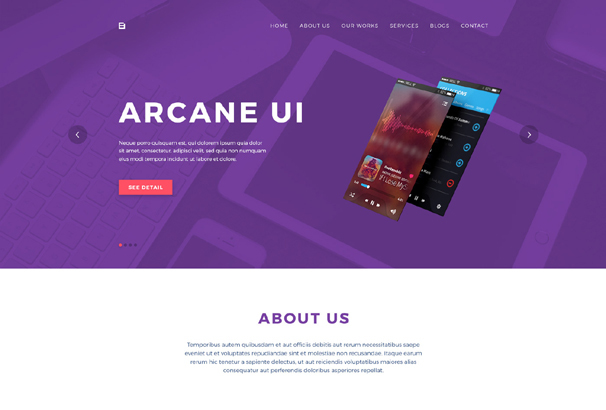 This template is specially made for developing any type personal sites. You are getting fully layered PSD file in the freebie. You can use this to create a resume or portfolio based websites. This exclusive freebie was made by Robert Mayer. 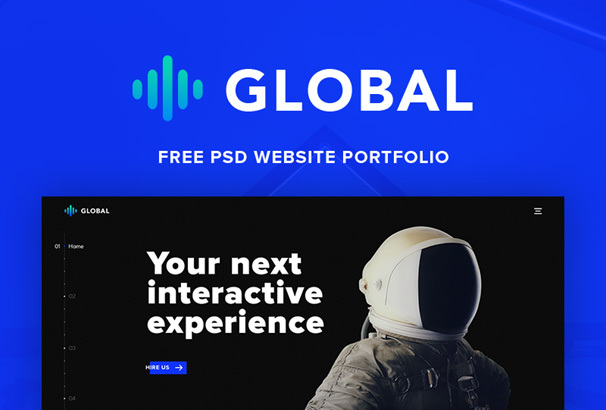 Global is blue color based free PSD template. By using this exclusive PSD template you can save your time and create a beautiful portfolio site in minutes. This freebie was created by Sergey Melnik. If you are thinking of a photography or portfolio based PSD template, check out this modern PSD template. 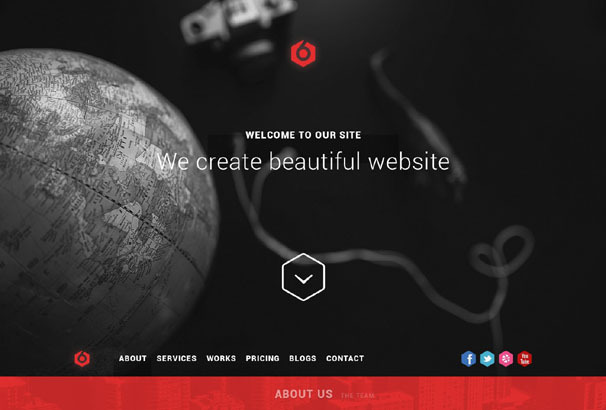 This web template is perfect for any types of photography sites. You are allowed to use the freebie for your personal or commercial projects. The freebie was created by Andreansyah Setiawan. Hexal is basically made for portfolio web design. 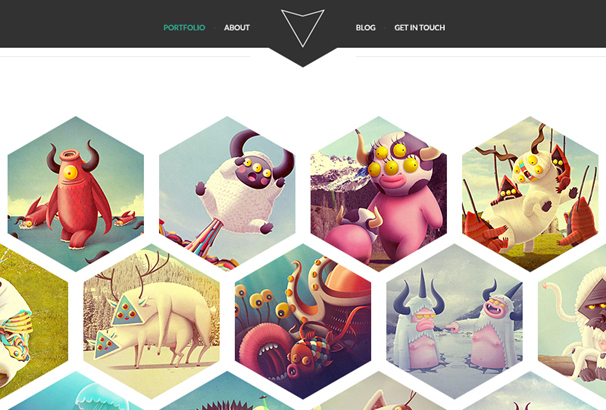 This is a single page portfolio template that comes out as various design experimentation with hexagons. 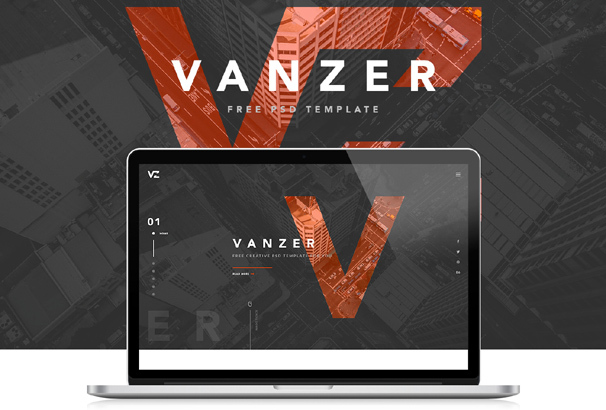 Vanzer is a pixel-perfect template for a portfolio website. All the layers in this PSD are organized and easy to edit. 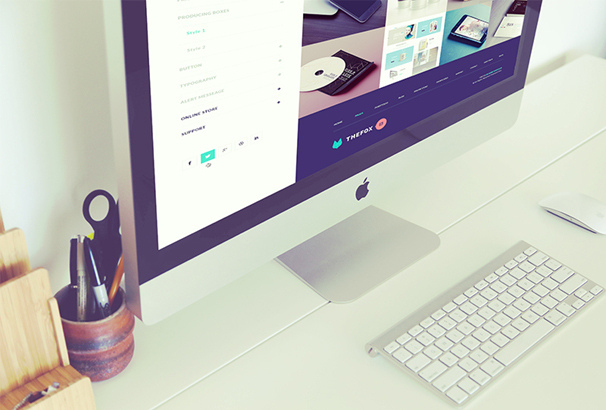 By using this PSD, you can create an amazing portfolio website within minutes. It is based on 1170px Bootstrap grid. Released by Crophos Designer. 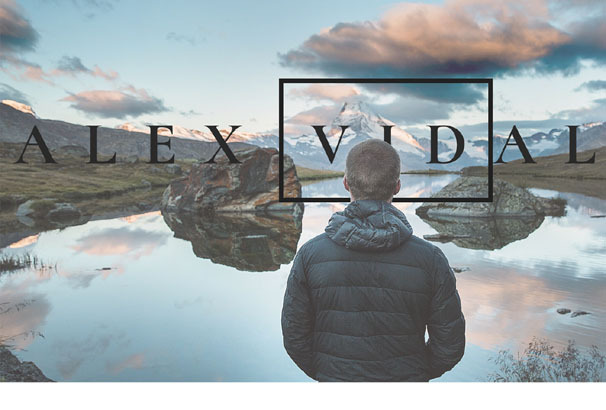 Alex is a modern and clean portfolio PSD template specially made for personal portfolio website. 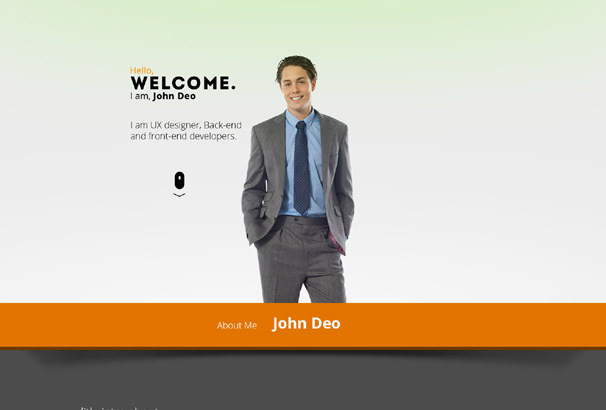 You can create an amazing personal resume or portfolio website by using this free PSD template. You’re allowed to use this template for a personal or commercial purpose. 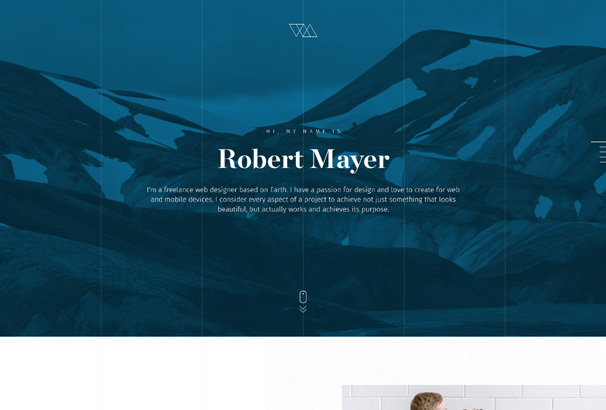 This is a clean and beautiful personal portfolio template. Sometimes, it is difficult to figure out how to present your design works and make an impression. This Free Personal portfolio template PSD can help you develop an amazing design without having any difficulty. 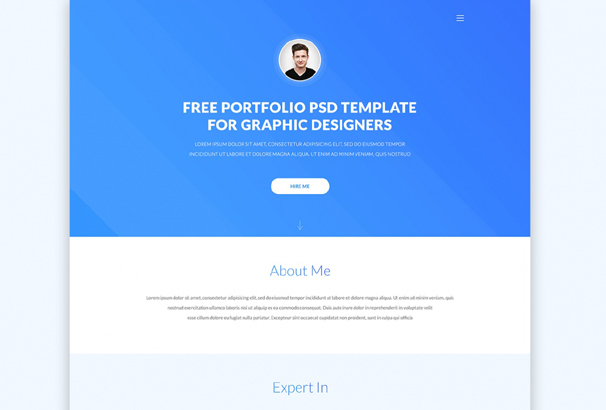 Feel free to use this PSD freebie for your portfolio website. If you are a creative, professional and amateur graphic designer, then the John Doe portfolio is perfect for you. There are lots of sections included in the PSD file so that you can write more information about yourself and service that you offer. This exclusive PSD template designed in Photoshop. You can use this free PSD template to create a free blog and customize this depending on your specific ideas. 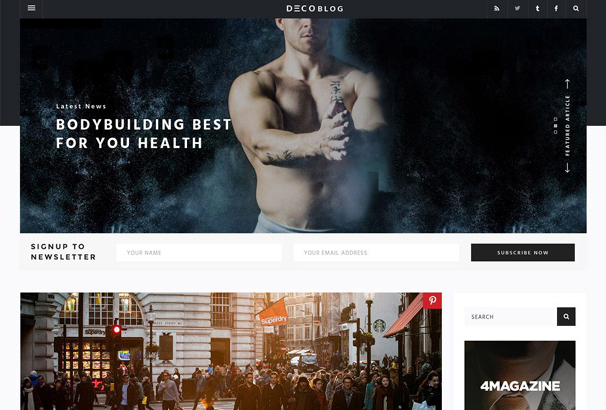 This well-designed template will save your time to create your personal blog site easily. 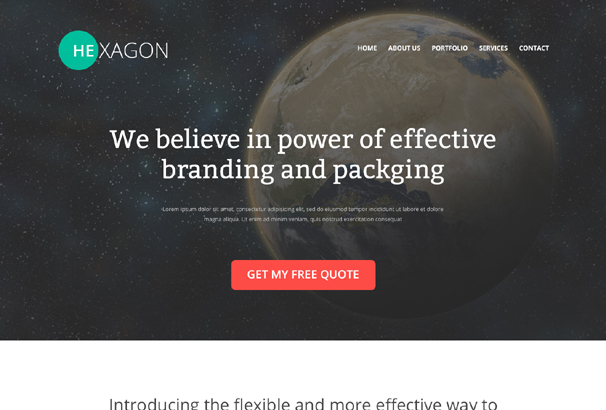 Hexagon PSD portfolio template is perfect for personal or company portfolio website. You can download the PSD for free and allowed to use it for your personal or commercial projects. This PSD portfolio template designed by Mahmud Saeef. This template is made with Photoshop and well organized in layers, based on the Bootstrap Grid System and includes hover and on scroll states as well. This exclusive PSD portfolio template is a good choice for designers and the freebie was designed by Ben Schade. 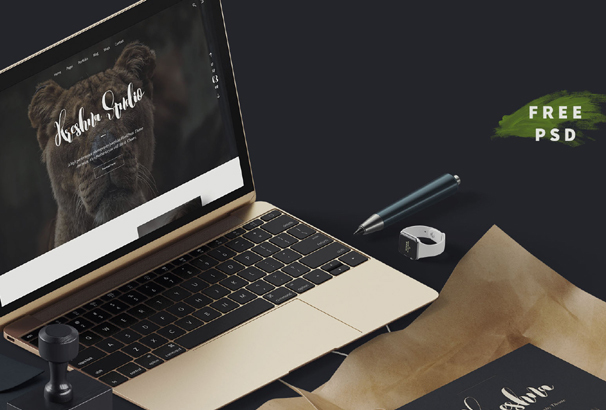 This is another beautiful portfolio based PSD template. 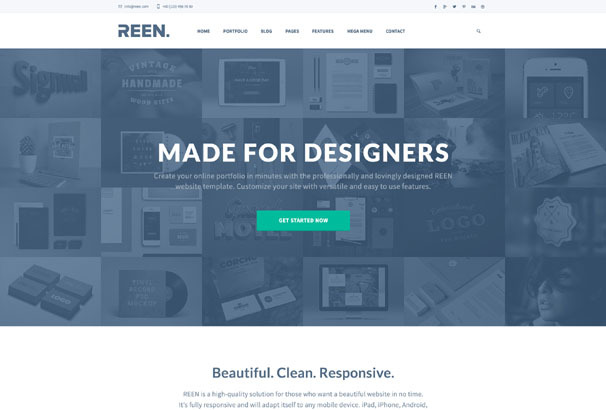 By using this PSD template you can easily create amazing portfolio websites in minutes. This simple, clean and professional PSD were created by Tranmautritam. It’s me creative portfolio PSD template is specially made for personal uses. Layers are organized very well with proper naming conventions and you can easily access and changes all things according to your needs. 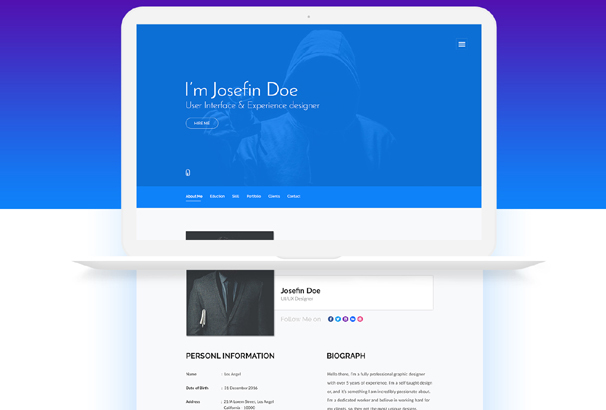 Me – Creative Portfolio & Resume / CV PSD Template is basically made for Designer, Developer, Freelancer, Artist, Photographer & Can be used for personal websites. All the layers are organized in good format and you are allowed to change all the items according to your ideas. 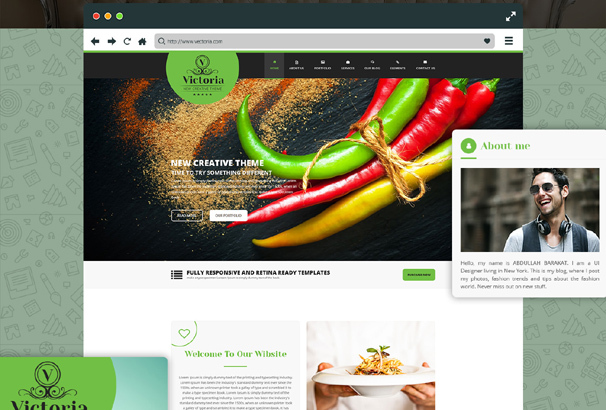 Victoria free web template has lots of pages which can help you to design a portfolio website in minutes. The well organized and fully layered PSD files make it very easy to work with the design. You are getting 10 PSD files in the package. This PSD template is made by 1170px bootstrap responsive grid so it will perfect for all devices. 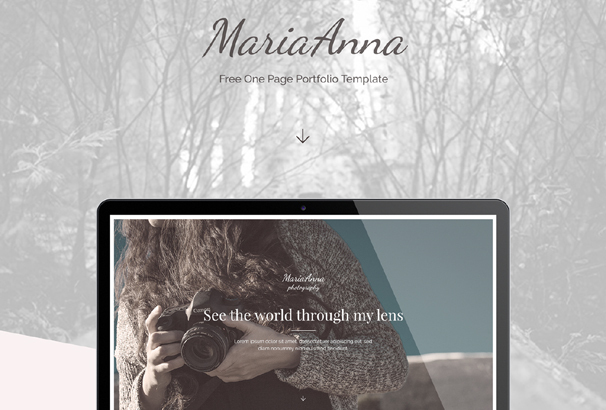 MariaAnna is a beautiful free one-page portfolio template and this template can be used for any types of personal or commercial projects. You can download this PSD template for free and edit the PSD as your needs. 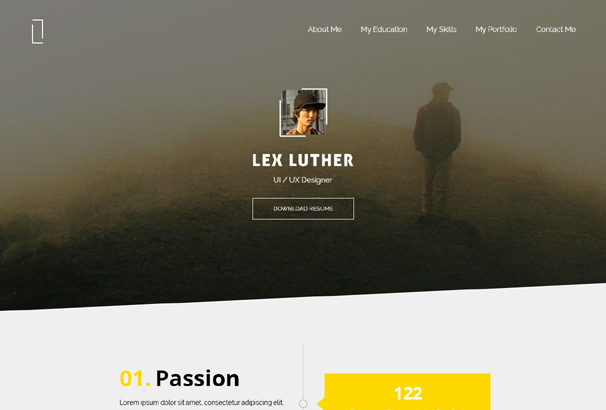 Lex luther is free one-page portfolio PSD template. This PSD has lots of sections such as skills, Portfolio, about and contact sections. So you can create amazing portfolio sites within very short time. Free to download and allowed using it for a personal or commercial purpose. Eskulap is a beautiful one-page portfolio web template comes in PSD format. The multi-organized PSD features a minimal design with line icons and the usual one-page portfolio sections like about, skills, latest works. Perfect for a freelancer to showcase their works and services. Brench is another beautiful free one-page portfolio template. There are several sections are added in this PSD file such as the slider, about, works, services and contact sections. You are allowed to use it for your personal or commercial projects. The freebie was created by Juskteez Vu. Baktigoto is a Responsive, Retina-Ready template with a minimalist, simple, elegant and clean style. You’re getting fully layered and easily editable PSD files that are well-organized in layers & groups. It is very easy to customize and allowed to use for personal projects. 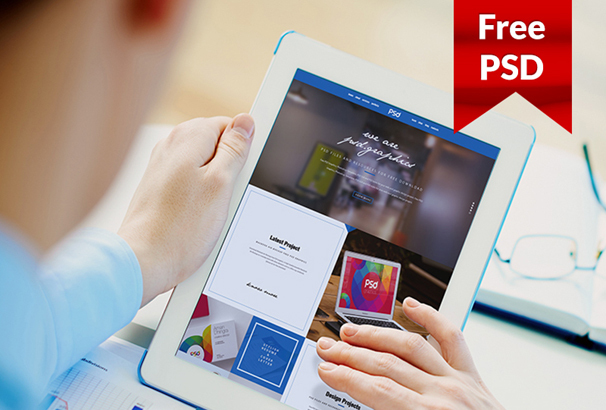 Here comes another free PSD portfolio template. This is beautiful, clean, customizable one-page portfolio PSD template. It comes with a fully layered PSD file and you are allowed to customize it as you want. It is a great choice for a portfolio website. 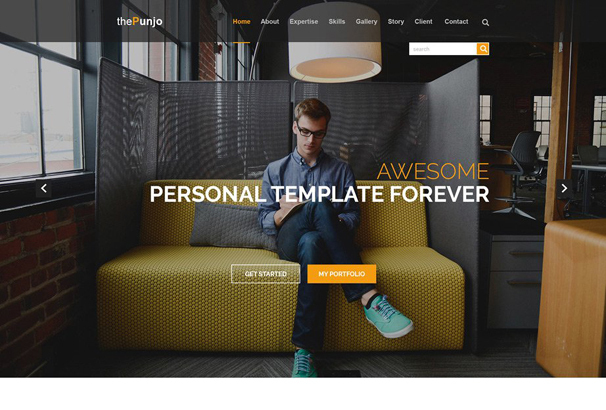 ThePunjo is designed specially for personal or personal portfolio use. It comes with fully layered PSD files including amazing features to meet your demand such as 1170px Grid System, Google Fonts, Font Awesome icons and much more. 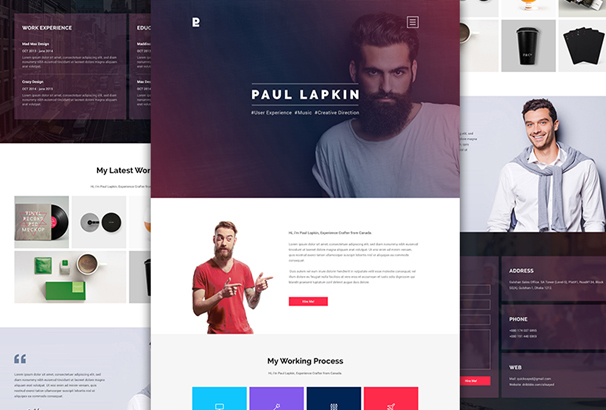 Beauty – Creative Resume & Portfolio PSD Template Creative, Clean and Modern Resume & Portfolio PSD Template. Features One Page Layout, clean and precise design, easy and customizable PSD files, free Google Font And much more. 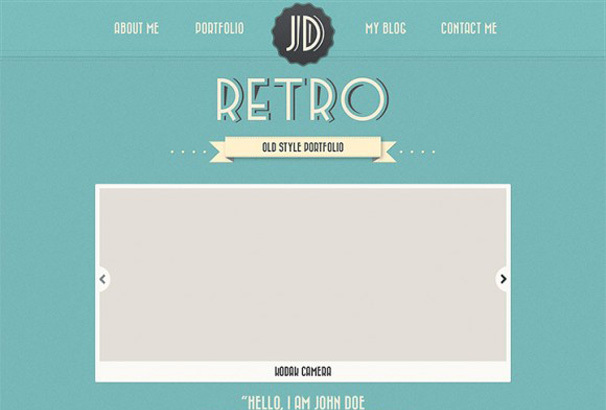 Retro Portfolio Template PSD – 4th version has been released recently and the new design is much cleaner than before, some elements have been removed and some other new items added in this new version. It’s 100% free and customizable so get it now! 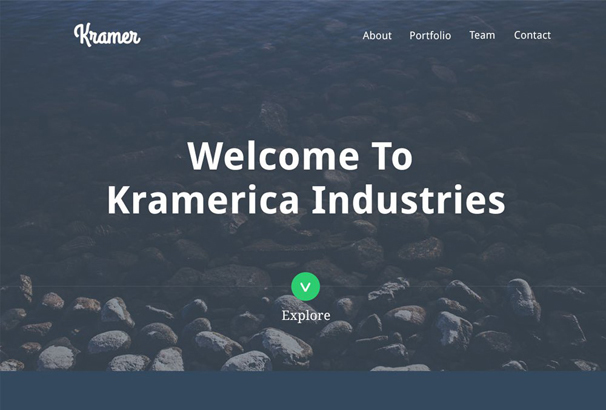 Kramer – One Page Portfolio PSD is specially designed for making portfolio websites. It has 3 PSD files for responsive, all based on the Bootstrap 3 grid and a style guide for typography, hover/active states, colors, etc. This template is great for anyone looking for a clean portfolio showcase. Montreal is creative single page portfolio template ideal for small agency or studio. You can easily create amazing and professional portfolio website by using this PSD. It looks beautiful with nice color and a clean interface.